Montebello Home Care is a locally founded, owned, and operated private duty home care provider serving older adults and their loved ones in Beaumont, Texas and the surrounding Southeast Texas communities with high quality Texas home health care. At Montebello Home Care, we thoroughly understand the challenges facing older adults and their loved ones when it comes to finding the best in-home care services and solutions. Our agency was founded because our owner, Mark Montebello, experienced firsthand how this type of service could benefit his grandmother. From that moment, Mark knew he wanted to help other families find compassionate, high-quality senior care solutions for their loved ones, and Montebello Home Care was born. We’re passionate about helping others, and it’s this passion that drives us to create quality Texas home health care services that you can rely on. Our founder and our agency have deep roots in the community, and we are proud to be able to offer compassionate Beaumont home health services that lead to long-term care solutions for our community. Texans are unique, and at Montebello Home Care, we value your individuality and support your lifestyle with our in-home Texas home health care services. As a Home Care Pulse Provider of Choice, Employer of Choice, and Leader in Excellence, we are dedicated to excellence and proactive in providing all our clients with quality care solutions that meet their unique and individual needs. Mark’s hobbies include Brazilian jiu-jitsu, running, and physical fitness. One of his proudest and most rewarding accomplishments was finishing an Ironman Triathlon in 2011. Mark is also an avid reader, a car enthusiast, and is passionate about constantly learning and acquiring knowledge. Mark lives in Lumberton with his wife Meghann and daughter Mia. Eileen is a career nurse of 42 years. As a child, one of her pastimes was reading her favorite book, Nurse Nancy, and she frequently bandaged neighborhood kittens, puppies and was even known to treat injured frogs, just like Nurse Nancy. At age 19, Eileen entered the medical field as an LVN, later returning to the university to obtain a degree as a registered nurse. Eileen has a genuine love for people and is dedicated to helping those in our community who choose to remain in their homes during their ‘golden years’. Caring for seniors is a personal passion for Eileen, as she also has an elderly parent who prefers to remain in her home where she is able to continue her life in familiar surroundings. When she isn’t working, you may find her on the lake enjoying one of her favorite sports, bass fishing! She also love bike riding and taking walks through her neighborhood. Eileen married her high school sweetheart, Mark, one year after graduation. They have four children, five grandchildren and still counting! Jacalyn became the alternate administrator for Montebello Home Care in October 2013 to help her son, Montebello Home Care owner, Mark, grow his business. Needless to say, she is very proud of his accomplishments! In her role, Jacalyn assists with maintaining certifications, billing, payroll and long term care insurance. She also enjoys interacting with families and staff. Her care and compassion for the elderly became evident after caring for her own mother for over 20 years, and one of her goals is to help others overcome obstacles. 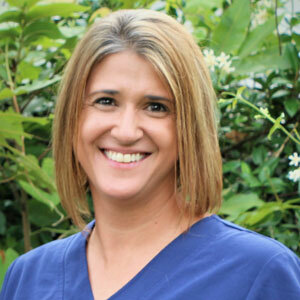 Jacalyn began her nursing career in 1996. She also works in endocrine nursing, and has cared mostly for the diabetic population for over 20 years. 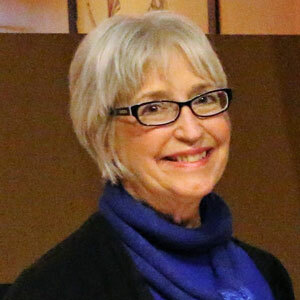 She is experienced in educating clients on all aspects of diabetes care, including self-care, nutrition, glucose monitoring, current therapies, and insulin administration. Born and raised in Beaumont, Texas, Jacalyn enjoys spending time with her large family, especially her granddaughter! She also enjoys Zumba, biking, reading and traveling the world. Having worked as a caregiver herself for 15 years, Barbara brings experience and a passion for caring that helps our team shine. Barbara lives in Buna, Texas and is the mother of five children. She has been married for ten years. In her free time she likes to spend time with her family, enjoys going to the lake and shopping, and loves going to the casinos and going on cruises with her husband and family. Debbie has always enjoyed helping people and providing caregiving services to those who need assistance to live safely and independently at home. Being a caregiver gives Debbie a sense of meaning and pride. Debbie moved to Southeast Texas in 2007 and lives in Vidor. She has been married for 35 years, has one child, and is an animal lover. In her free time, she volunteers for Relay for Life, Habitat for Humanity, and the Christian Care Center of Vidor. Her bright smile and infectious laugh bring an enormous amount of joy to our company. After retiring from a 39-year career as a public school teacher, Sharon joined the Montebello Home Care team as a caregiver, and was then promoted to care supervisor. She enjoys working with clients and says she learns so much from the people that Montebello Home Care serves. According to Sharon, “Teaching and working with seniors is service work. That is my vocation and where my heart leads me to give back and serve others.” Sharon isn’t just an amazing caregiver, she is also Mark Montebello’s beloved mother-in-law, and is delighted to be part of this wonderful family business. Sharon lives in Lumberton, Texas and is the mother of three children, Rebecca, Meghann and Michael. She enjoys spending time with family, meeting up with friends, gardening, home projects, and traveling. Stacy has worked in healthcare for 15 years in various roles at doctors’ offices and medical equipment companies, and she brings a wealth of experience to her role as administrative assistant/field supervisor. "Helping others in need is my calling, and at Montebello Home Care, that is what we do every day." Stacy lives in Kountze, Texas and is the mother of one son, two stepchildren, two dogs, and eleven chickens. She enjoys spending time with her family fishing, traveling, having cookouts, or just relaxing watching TV. Hope has always loved interacting with her elders. Growing up, she spent countless hours learning from her grandparents, appreciating their wisdom, and laughing at their stories. She graduated from Stephen F. Austin State University with a BS in Rehabilitation and Gerontology. Working with older adults appeals to Hope because "Life has taught them so much that we need to know." Her caregiving experience ranges from being a mom to a direct-care worker for people with multiple diagnoses. Hope’s first job was as a caseworker for people with special needs. Ten years later, she began serving others in her Nacogdoches church in a support staff role. More recently, she taught 7th-12th grade at a private Christian school in Beaumont for four years. Hope has always sought out vocations that help people grow mentally and spiritually. Most important to her is that all people be loved and accepted no matter what their situation. Hope enjoys "making a difference," and says, "When I met the Montebello team for the first time, it felt like being at home with a tight-knit family. Working for Montebello Home Care is a very rewarding experience." Hope enjoys getting to know both the caregivers and the clients so that she understands all the needs involved. At Montebello Home Care, we provide the skilled, professional Beaumont home health that families deserve, and we help our clients maintain the lifestyles they’re used to. 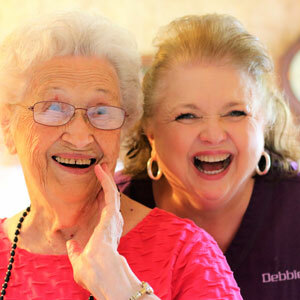 We are licensed, bonded, and insured so you can be worry-free when our caregivers are in the home. We’d love to talk to you more about how our Texas home health care services can help you and your loved ones. Call us at 409-276-7576 or fill out our online contact form and we’ll be happy to tell you more about our Jefferson County senior care!